Played college basketball at Casper CC (2010-12) and at South Dakota (2012-15). Moved to Latvia for the 2015-16 season, signed by BK Jekabpils. Moved to Lithuania for the 2016-17 season, signed by Zvaigzdes Pasvalys. In December’16 moved to Latvia, signed by BK Barons Kvartals. Moved to Belgium for the 2017-18 season, signed by Liege Basket. In January’18 moved to Italy, signed by Pallacanestro Varese. Moved to Russia for the 2018-19 season, signed by Parma Basket Perm. 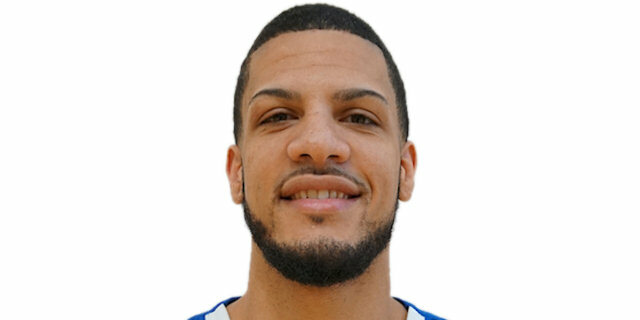 In January’19 moved to Germany, signed by Fraport Skyliners Frankfurt. Played the 2016 and 2017 Latvian All Star Game.